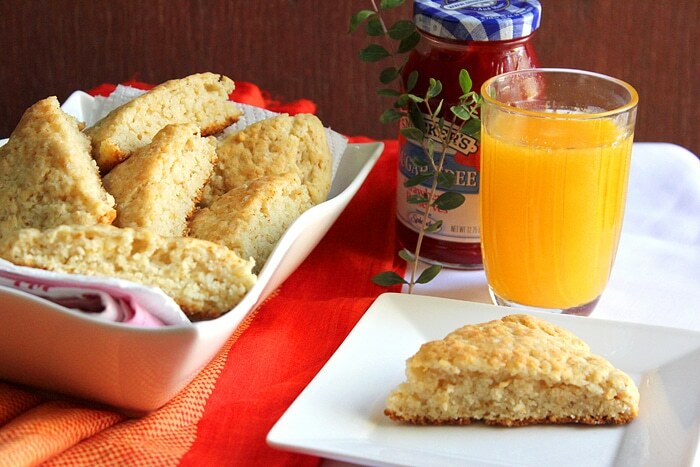 Sharing my favorite scone, Lemon Scones! When I was a kid I loved having eggs for breakfast, I’ll have eggs everyday and won’t get bored. Boiled, sunny sides up, omelet with cheese, just give me eggs. My mom introduced alternatives for breakfast, but I felt having anything other than eggs, is like not having a breakfast. Then scones happened! 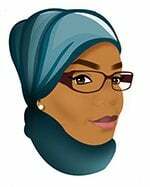 I saw two English ladies sipping on tea, having what looked like fluffy scones with jam and cream on TV one day. I craved it so bad and was ready to convert. I Now bake my own scones (never buy them from stores anymore.) and love experimenting with different flavors. My favorites are Lemon, blueberry, and classic scones with raisins. Scones have butter, and butter is what makes good scones, so I’m not taking that away from this recipe, but what you can do is keep the calorie count in mind, and be moderate. Pillsbury did not sponsor this post, but I have to say that for some reason scones tastes better when using Pillsbury’s all purpose flour. The scones come out light and the color is beautiful brown. 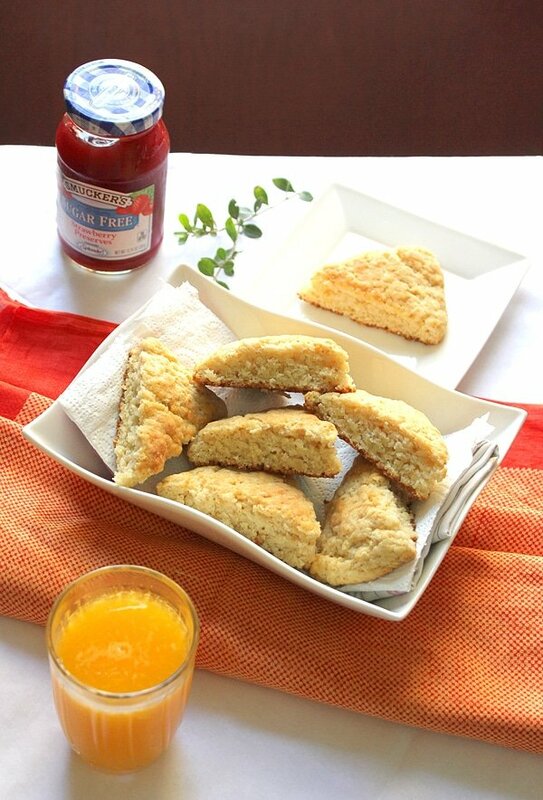 I’ve noticed that the smell and taste of the flavor used in the scones are stronger when using Pillsbury flour. My family and I like to have a small amount of cream or jam on our scones, but when I bake with Pillsbury we have the scones plain specially if flavored with lemon, blueberry, or sweet spices like cinnamon and cardamom. You can use any all purpose flour to make good scones, and you will still get good scones, but scones made by Pillsbury all purpose flour are perfect, in my opinion. 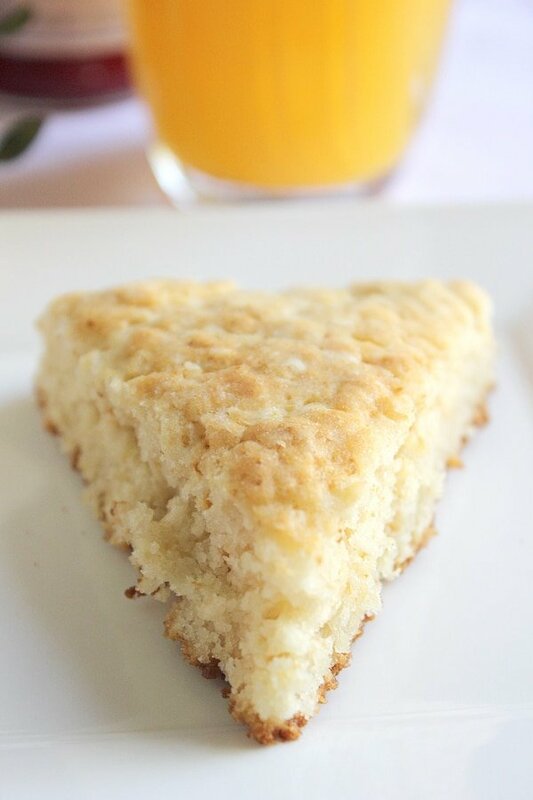 Lemon Scones, a great way to start the morning. Crunchy form the outside, light and fluffy from the inside. - In a bowl, add the sugar and lemon zest, mix well to allow lemon zest's oil and aroma to spread in the sugar. - Sift in the flour with salt and baking powder. Whisk again with sugar mixture. - Add the shredded butter and mix using a fork for one minute. - Pour the milk and mix using a fork. Do not over mix, just until the mixture is combined. 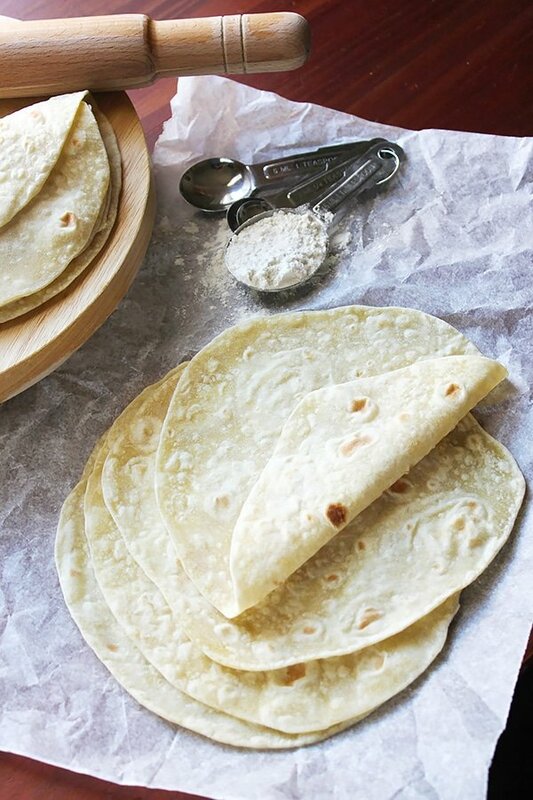 - Transfer to a greased baking tray, or better to use parchment paper or aluminum foil. 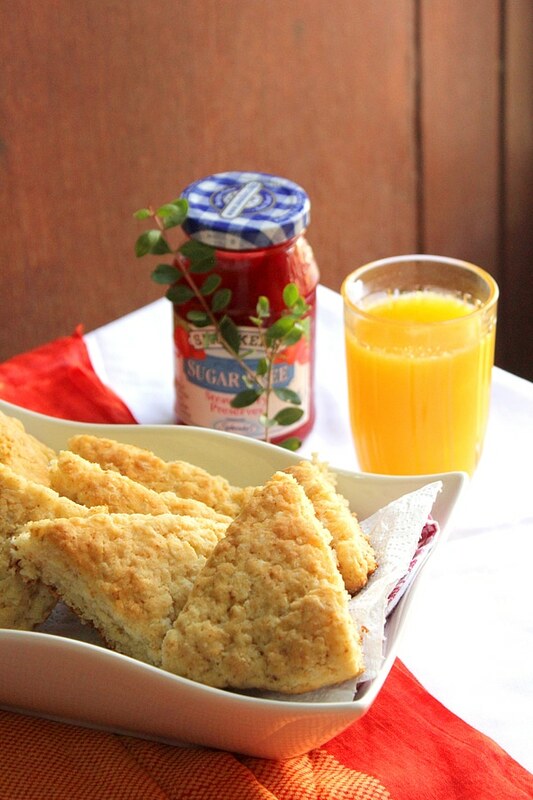 - Sprinkle 1-teaspoon flour over the dough, shape to one-inch high disk, and cut into eight scones. 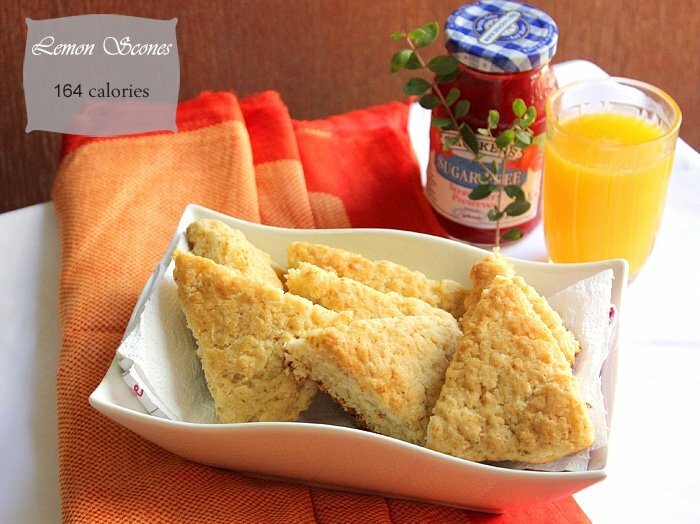 - Bake the scones for 20 to 25 minutes or until the surface is light brown. It really depends on your oven but keep checking on the scones after 15 minutes. They remind me of buttermilk scones. Your scones look super. these would be perfect now with tea!